The human Twilight has moved to California living with her brother and his wife after a tragedy in japan took her parents lives. As she tries to adjust to her live and crystal prep she comes across strange occurrences that reminds her all to much of the power that took her parents. and thanks to a gift from her late parents she manages to capture some form of magic trying to escape the mirror and with this new power she will put an end to those six girls who abuse their new power. 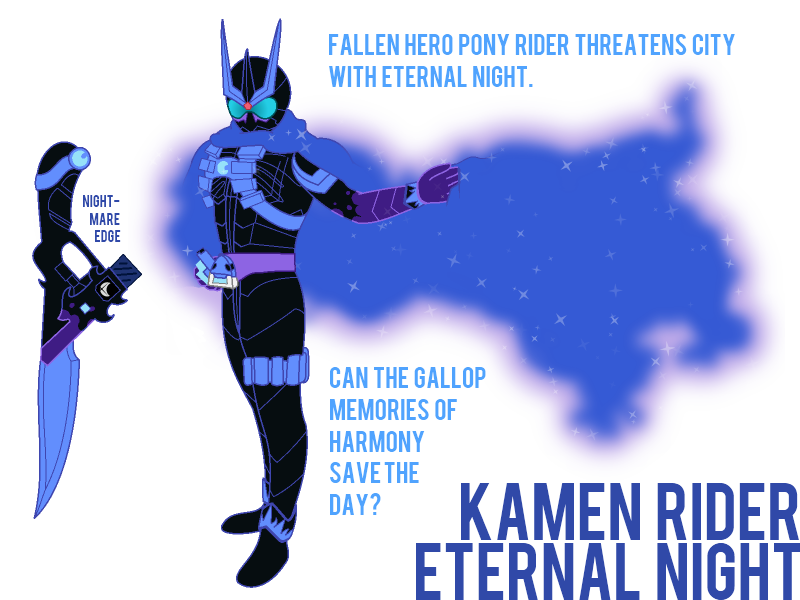 But not as the feeble Twilight sparkle she will stop them as Kamen rider Eternal night! A/N: An a.u and crossover with the kamen rider franchise specifically the neo heisei. Collab w/: New Dawn, SouthernCross support these writers.